Imagine seeing your book come to life through a customized professionally designed book video trailer produced by Books2Mention. Our team of editors will work closely with clients to create a video trailer that is unique and exciting, producing an innovative marketing tool that will captivate your audience while the plot of your story visually unfolds before their eyes. 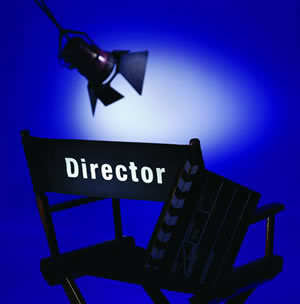 B2M editors will begin the task of taking the information provided to develop a general idea for the video trailer. The client will be consulted for input through out the developmental stages. We will work directly with you, as decisions are made regarding the concept for the storyboards, image/graphic selections, on screen wording and background music selection. As the project develops, the client is provided with drafts of the video trailer for approval. After the final draft has been confirmed by the client, the next phase will begin, in which our team will initiate the process of loading the trailer to our network of video sharing channels, such as YouTube, BookTrailers, iFilm, OurMedia, Google Video, Yahoo Video, MetaCafe, AOL Video, Book Marketing Network, and many more. We will provide the client with the final book video file to share with readers, family, and friends. You will also receive the HTML code for placement of the trailer on the author's website. Utilizing this cutting-edge tool will enhance your books presence online and can also be used in other marketing material to increase overall book sales. Our trailers are priced at $155.00. You will be able to make two rounds of revisions to your video at no additional cost. Click here to view a sample of our most recent trailer creations. TO PLACE YOUR BOOK VIDEO TRAILER ORDER, PLEASE FOLLOW THE NEXT TWO STEPS.